Our Euro Hiker collection is expanding into even more rugged territory. The design of these waterproof boots is inspired by European outdoorswear their performance is inspired by our 40 years of experience taking on the great outdoors in style. 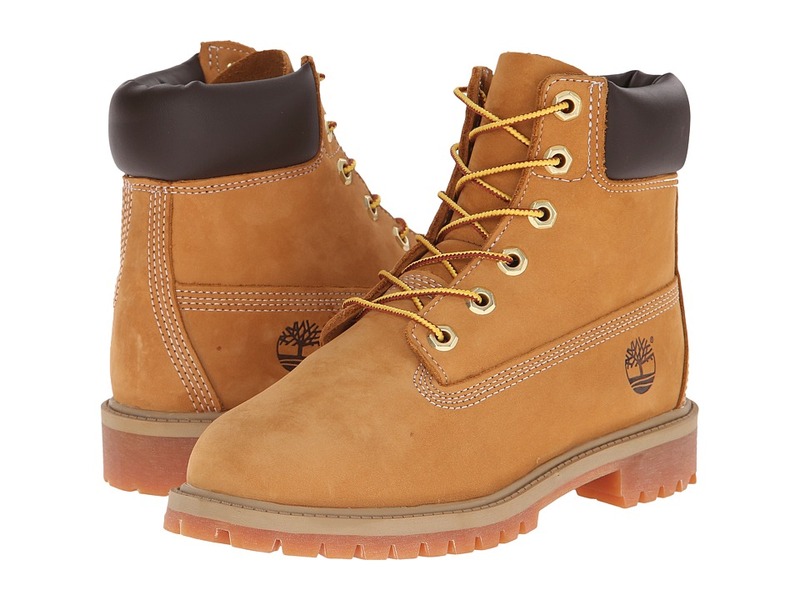 Put in a good day~s work with the comfortable and breathable Gorge Mid ESD Steel Toe work shoe by Timberland PRO. 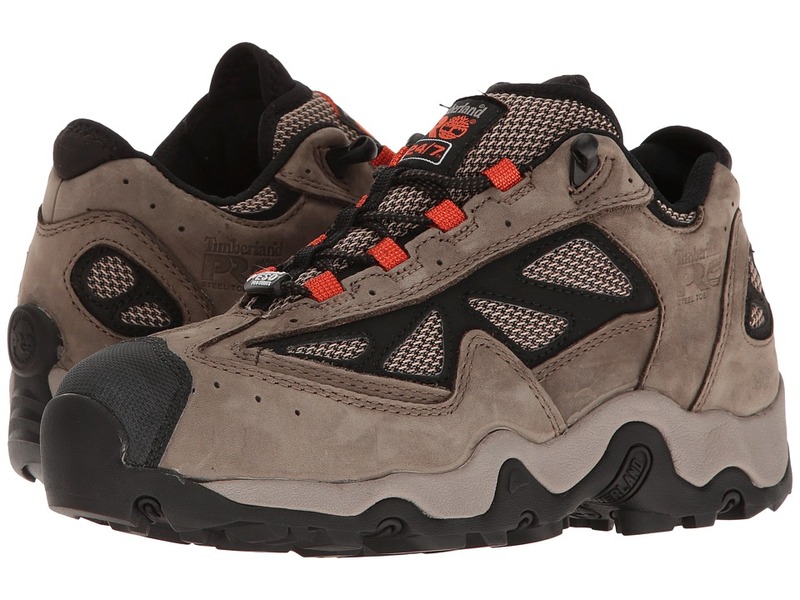 Style number: 81016214 Leather and mesh upper for durability and breathability. Abrasion-resistant synthetic toe for increased durability. Nylon and leather ghillie lacing system for lightweight durability and secure fit. Steel safety toe for protection. Cement construction for flexibility and reduced break-in time. Mesh lining with Agion antimicrobial treatment for odor control and comfortable feet. Removable insole is cushioned for superb shock absorption. Lightweight molded EVA midsole features polyurethane and conductive rubber for consistent, static-dissipative performance. Nylon shank for structural support. Steel toe meets I/75 and C/75 impact and compression ASTM F2412-11 and F2413-11 safety standards. Meets SD static-dissipative ASTM F2412-11, ASTM F2413-11 and ASTM F2892-11 safety standards. They provide protection through conduction and resistance to the wearer against potential hazards due to excessively low footwear resistance. 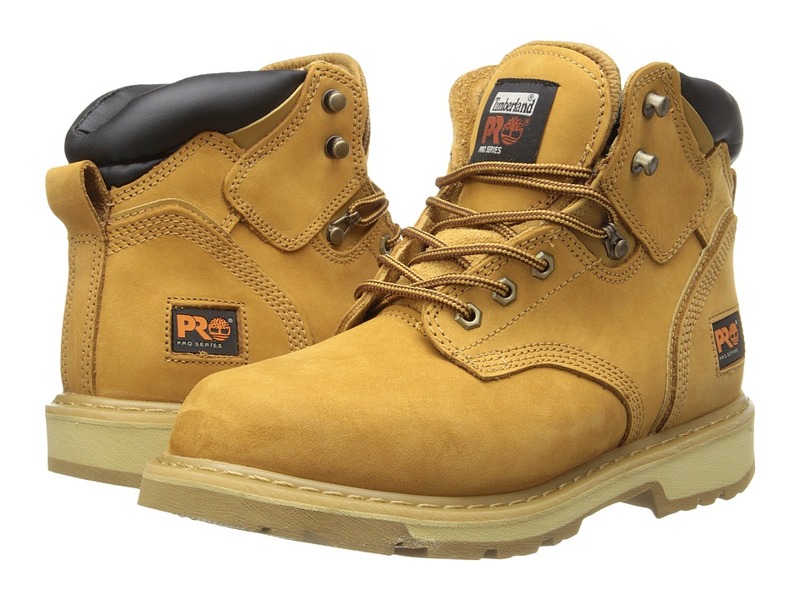 Timberland PRO series rubber sole is slip-resistant, oil-resistant and abrasion-resistant. 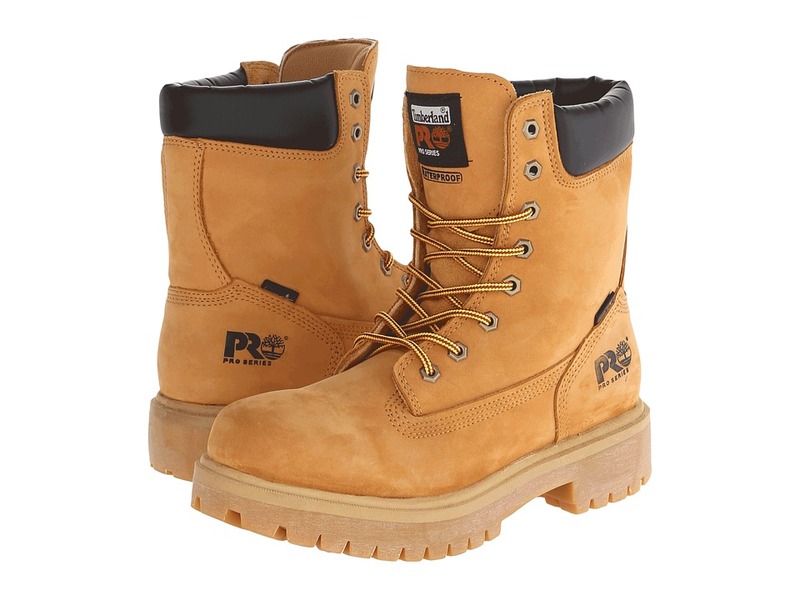 PRO 24/7 Comfort and Durability technology is a unique comfort system that meets the most rigorous work site demands - 24 hours a day, 7 days a week. It helps reduce foot fatigue, support the arch and cushion every step. Imported. Measurements: Weight: 1 lb 5 oz Product measurements were taken using size 8.5, width D - Medium. Please note that measurements may vary by size. Weight of footwear is based on single item, not the pair. The Timberland PRO 6 Pit Boss Soft Toe is everything a work boot should be: safe, tough and really comfortable, letting you perform at your best every day. Style numbers: 33046214 (Gaucho color) and 33030231 (Wheat color) Rugged nubuck leather upper for comfort and long-lasting wear. Traditional lace-up design with metal eyelets and cast metal top hooks for a secure fit. Goodyear welt construction for rugged durability. PRO 24/7 Comfort Suspension technology is a unique comfort system that meets the most rigorous work site demands - 24 hours a day, 7 days a week. It helps reduce foot fatigue, support the arch and cushion every step. Features a roomier toe box for minimal-to-no foot pain even after long days on your feet. Removable, open-cell polyurethane footbed with antimicrobial treatment for comfort and odor control. Cambrelle fabric lining with antimicrobial treatment for odor control. Timberland PRO logo on side. PU midsole for durable comfort and underfoot comfort. Lightweight nylon shock-diffusion plate provides support and torsional rigidity. Durable rubber outsole is abrasion, slip, and oil resistant and ensures unsurpassed traction for working on wet or slippery surfaces. Soft toe meets ASTM F2412-11, ASTM F2413-11 and ASTM F2892-11 electrical hazard standards to provide secondary underfoot protection against the hazards of stepping on live electrical circuits, electrically energized conductors, parts, or apparatus. Imported. Measurements: Heel Height: 1 1 4 in Weight: 1 lb 9 oz Shaft: 6 in Platform Height: 3 4 in Product measurements were taken using size 8, width EE - Wide. Please note that measurements may vary by size. Weight of footwear is based on single item, not the pair. The Timberland PRO Direct Attach 6 Soft Toe offers superior waterproof protection and rugged, long-lasting performance to keep you safe under demanding conditions. Style number 26036001. 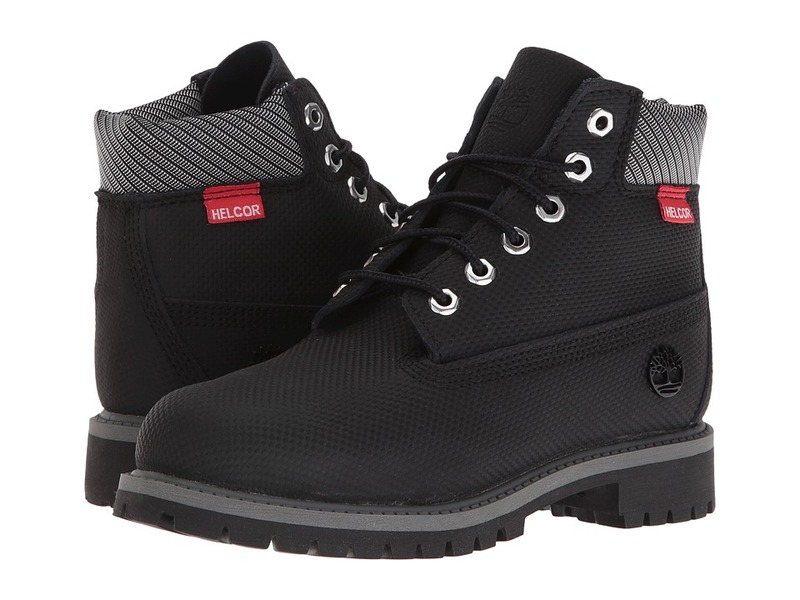 Premium waterproof leather with seam-sealed direct-inject construction. 200g of lightweight, high-lofted, quick-drying, moisture-resistant Thinsulate insulation keeps feet warm in any weather. Traditional lace-up system with sturdy metal eyelets for a secure fit. Padded collar provides comfort and prevents debris from entering. Mesh lining with antimicrobial treatment for odor control. Open-cell polyurethane footbed with antimicrobial treatment for breathable comfort and odor control. Lightweight blown-thermal plastic midsole for flexibility. Contoured nylon shock-diffusion plate for support. Non-marking rubber lug outsole is oil resistant and provides durable traction. Soft toe meets ASTM F2412-11, ASTM F2413-11 and ASTM F2892-11 electrical hazard standards to provide secondary underfoot protection against the hazards of stepping on live electrical circuits, electrically energized conductors, parts, or apparatus. Imported. Measurements: Heel Height: 1 1 2 in Weight: 1 lb 13 oz Shaft: 6 in Platform Height: 1 in Product measurements were taken using size 12, width D - Medium. Please note that measurements may vary by size. Weight of footwear is based on single item, not the pair. The insulated, waterproof protection of the Timberland PRO Direct Attach 8 Steel Toe boot will have you performing at your best even on long work days. Style number 26002713. Work boot with steel safety toe. Seam-sealed waterproof leather upper provides a drier, more comfortable foot environment. Timberland PRO 24/7 Comfort Suspension technology is a unique comfort system that meets the most rigorous work site demands - 24 hours a day, 7 days a week. It supports the arch and cushions every step to help to reduce foot fatigue. Traditional lace-up system for a secure fit. Padded collar for added comfort. Direct-inject construction for long-lasting durability. Breathable mesh lining with antimicrobial treatment for odor control. 400g Thermolite insulation delivers warm comfort in cold conditions. Open-cell polyurethane footbed with antimicrobial treatment for breathable comfort and odor control. Lightweight blown-thermal plastic midsole for flexibility and cushioning. Nylon shock diffusion plate for support and torsional rigidity. Non-marking rubber outsole features rubber lugs for durable traction and oil resistance. Steel safety toe meets I/75 and C/75 impact and compression and ASTM F2412-11, ASTM F2413-11 and ASTM F2892-11 electrical hazard safety standards. Imported. Measurements: Heel Height: 1 1 2 in Weight: 1 lb 9.5 oz Product measurements were taken using size 8, width EE - Wide. Please note that measurements may vary by size. Weight of footwear is based on single item, not the pair. 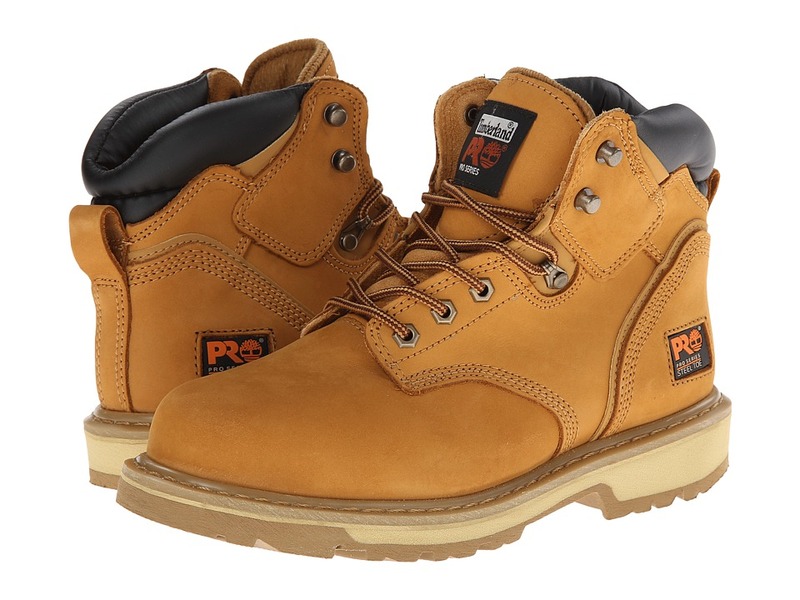 The Timberland PRO 6 Pit Boss Steel Toe is everything a work boot should be: Safe, tough and really comfortable. These boots aren~t anything if they aren~t tough. Go ahead, just try to wear them out. Style numbers: 33031231 (Wheat color), 033034214 (Gaucho color) and 33032001 (Black color) Rugged nubuck leather upper for comfort and long-lasting wear. Traditional lace-up design with metal eyelets and cast metal top hooks for a secure fit. Padded tongue and collar for added comfort. Goodyear welt construction for rugged durability. PRO 24/7 Comfort Suspension technology is a unique comfort system that meets the most rigorous work site demands - 24 hours a day, 7 days a week. It helps reduce foot fatigue, support the arch and cushion every step. Features a roomier toe box for minimal-to-no foot pain even after long days on your feet. Removable, open-cell polyurethane footbed with antimicrobial treatment for comfort and odor control. Cambrelle fabric lining with antimicrobial treatment for odor control. Timberland PRO logo on side. PU midsole for durable comfort and underfoot comfort. Lightweight nylon shock-diffusion plate provides support and torsional rigidity. Durable rubber outsole is abrasion, slip, and oil resistant and ensures unsurpassed traction for working on wet or slippery surfaces. Steel toe meets I/75 and C/75 impact and compression ASTM F2412-11 and F2413-11 safety standards. Meets ASTM F2412-11, ASTM F2413-11 and ASTM F2892-11 electrical hazard standards to provide secondary underfoot protection against the hazards of stepping on live electrical circuits, electrically energized conductors, parts, or apparatus. Imported. Measurements: Heel Height: 1 1 4 in Weight: 1 lb 14 oz Circumference: 13 1 2 in Shaft: 5 1 2 in Product measurements were taken using size 8.5, width D - Medium. Please note that measurements may vary by size. Weight of footwear is based on single item, not the pair. 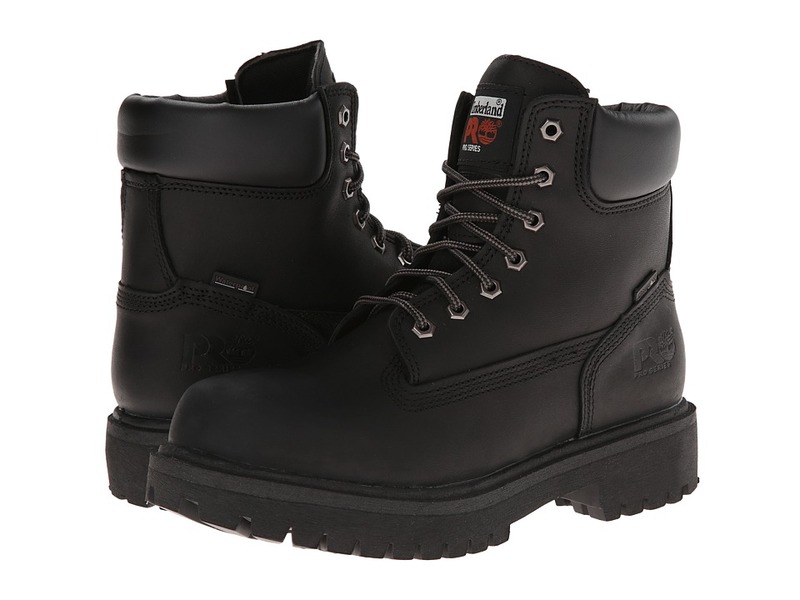 The Timberland PRO 6 Wedge boot offers high-performance protection and comfort to meet your demanding work day. 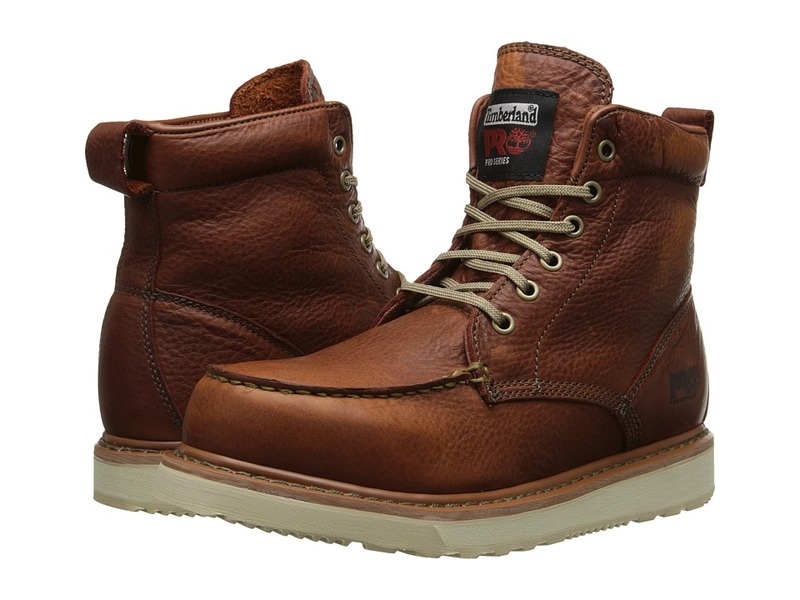 Premium full-grain leather upper for comfort and abrasion resistance. Style number: 53009214. Soft-toe boot design. 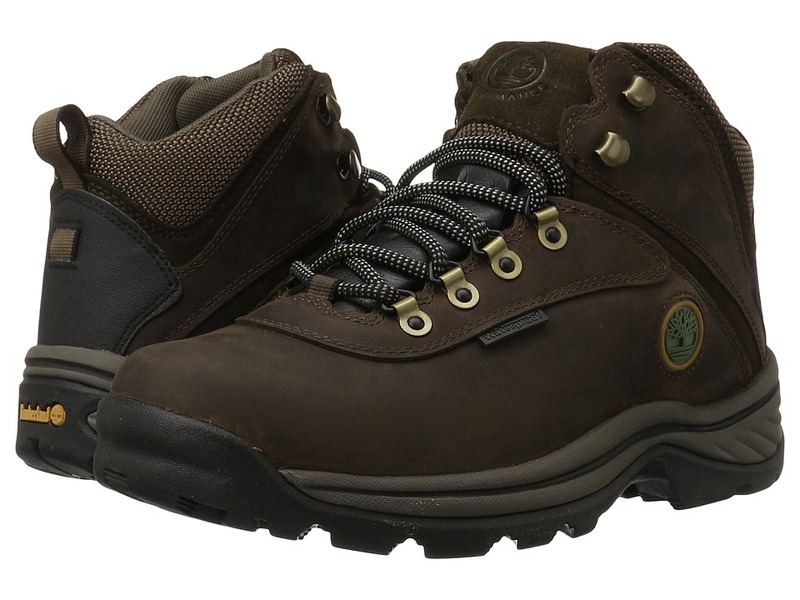 Lace-up system with durable metal eyelets for a secure fit. Goodyear&amp#174 welt construction for added durability. Comfortable leather lining. Open-cell PU footbed with antimicrobial treatment for breathable comfort and odor control. EVA midsole for lightweight cushioning and added shock absorption. PRO 24/7 Comfort Suspension technology is a unique comfort system that meets the most rigorous work site demands - 24 hours a day, 7 days a week. It helps reduce foot fatigue, support the arch and cushion every step. Meets ASTM F2412-11, ASTM F2413-11 and ASTM F2892-11 electrical hazard standards to provide secondary underfoot protection against the hazards of stepping on live electrical circuits, electrically energized conductors, parts, or apparatus. Durable rubber outsole is slip, oil and abrasion resistant. Imported. Measurements: Heel Height: 1 in Weight: 1 lb 6 oz Shaft: 6 1 2 in Platform Height: 3 4 in Product measurements were taken using size 8.5, width D - Medium. Please note that measurements may vary by size. Weight of footwear is based on single item, not the pair. The Timberland PRO Mudsill Low Steel Toe keeps you protected and steady on your feet so you can be at your best every work day. Style numbers: 40008001 (Grease Black) and 61009484 (Titanium/Sapphire). Premium leather and mesh upper for durability and breathability. Nylon and leather ghillie lace-up design for a secure fit. PRO 24/7 Comfort Suspension technology is a unique comfort system that meets the most rigorous work site demands - 24 hours a day, 7 days a week. It helps reduce foot fatigue, support the arch and cushion every step. Work boot is designed with a wide-flanged tempered steel to cap, providing protection for people in hazardous work environments. Abrasion-resistant synthetic toe guard for added protection. Cement construction for added flexibility and reduced break in time. Breathable mesh lining with anti-microbial treatment for odor control and comfortable feet. Open cell polyurethane footbed with Agion anti-microbial treated cover provides durable, resilient cushioning and odor protection. Molded EVA midsole provides lightweight cushioning and underfoot support. Internal shock diffusion plate spreads pressure of impact forces. Steel toe meets I/75 and C/75 impact and compression ASTM F2412-11 and F2413-11 safety standards. Meets ASTM F2412-11, ASTM F2413-11 and ASTM F2892-11 electrical hazard standards to provide secondary underfoot protection against the hazards of stepping on live electrical circuits, electrically energized conductors, parts, or apparatus. 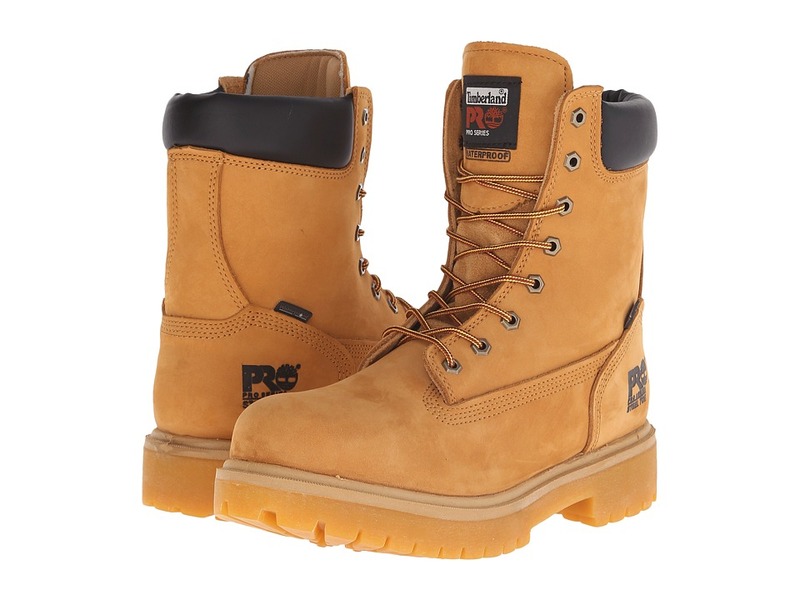 Timberland PRO rubber outsole is slip-resistant, oil-resistant and abrasion resistant. Imported. Measurements: Weight: 1 lb 2 oz Product measurements were taken using size 7.5, width D - Medium. Please note that measurements may vary by size. Weight of footwear is based on single item, not the pair. You~re sure to have a positive outdoor experience when you have these waterproof boots on your feet. They~re comfortable, durable and great looking. 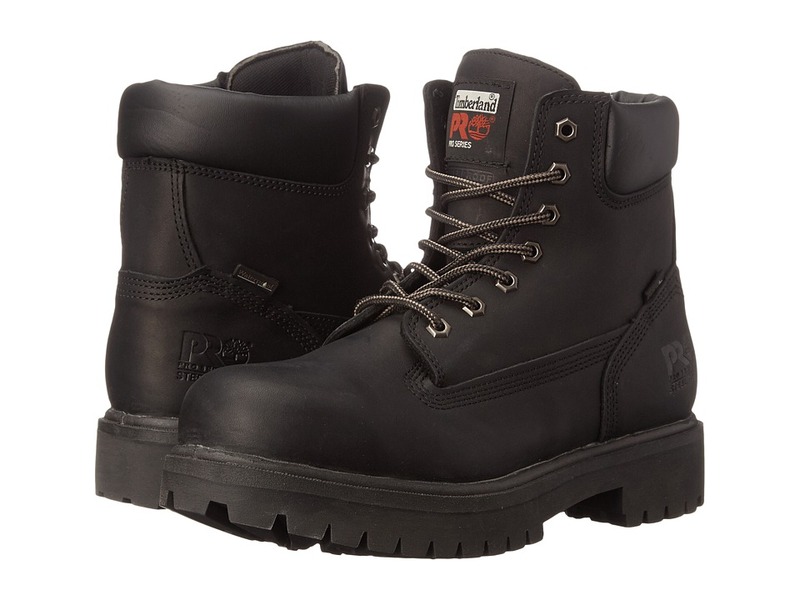 Premium waterproof leather for comfort, durability and abrasion resistance. Padded collar for a comfortable fit. Dual-density EVA midsole for lightweight cushioning. B.S.F.P. motion efficiency system rubber lug sole. Measurements: Heel Height: 1 1 2 in Weight: 1 lb 3 oz Shaft: 5 in Product measurements were taken using size 10, width B - Narrow. Please note that measurements may vary by size. Weight of footwear is based on single item, not the pair. 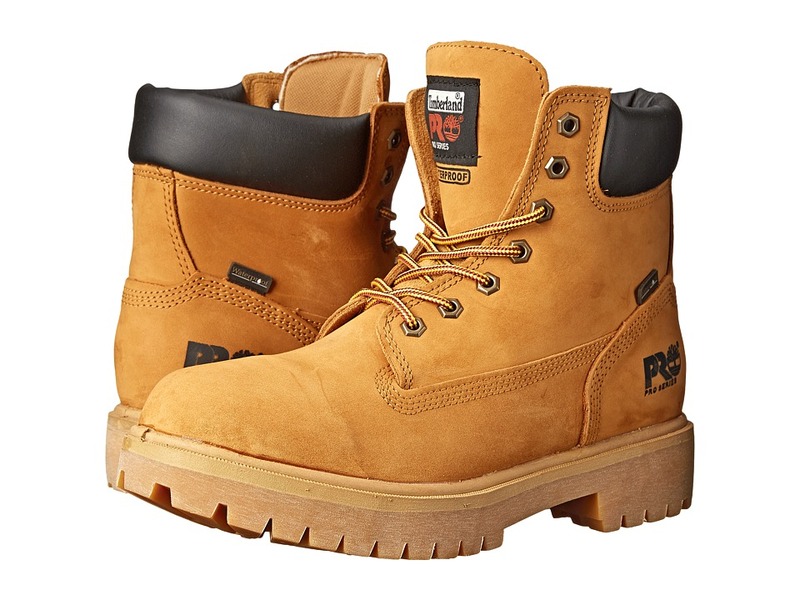 Get the comfort and all-day support you need when you wear the TiTAN 6 Soft Toe work boot from Timberland PRO. Style number: 24097214. Premium full grain leather for comfort. Lightweight workboot features the Powerfit comfort system: Cement construction for flexibility and reduced break-in time. Moisture-channeling spacer mesh comfort lining with antimicrobial treatment for odor control and dry feet. Contoured open-cell polyurethane footbed with Outlast&amp#174 Adaptive Comfort&amp#174 temperature-regulating technology sock cover keeps your feet drier. Polyurethane midsole with high-rebound heel insert provides durable cushioning and energy return. Nylon diffusion shank for torsial rigidity. Meets ASTM F2412-11, ASTM F2413-11 and ASTM F2892-11 electrical hazard standards to provide secondary underfoot protection against the hazards of stepping on live electrical circuits, electrically energized conductors, parts, or apparatus. 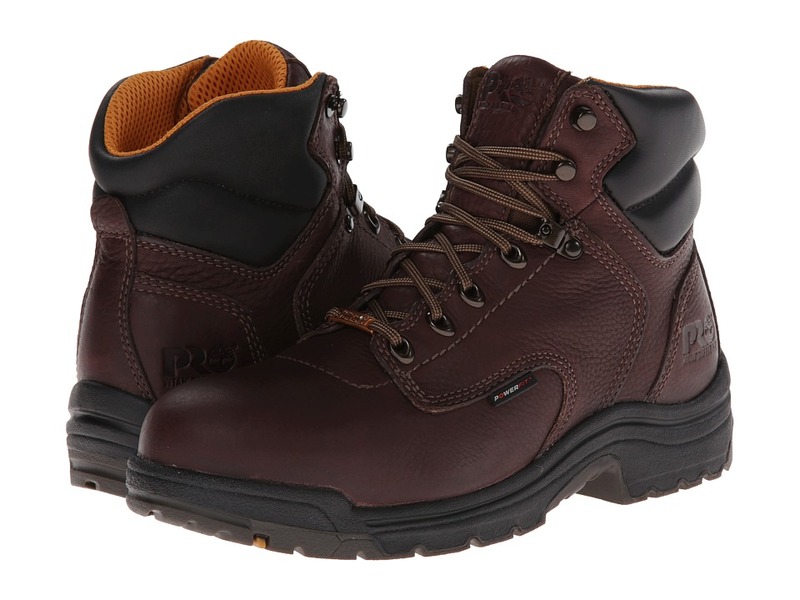 Slip-resistant, oil-resistant and abrasion-resistant rubber dual density outsole. Imported. Measurements: Heel Height: 1 1 2 in Weight: 2 lbs 5 oz Shaft: 5 1 2 in Product measurements were taken using size 10, width D - Medium. Please note that measurements may vary by size. Weight of footwear is based on single item, not the pair. 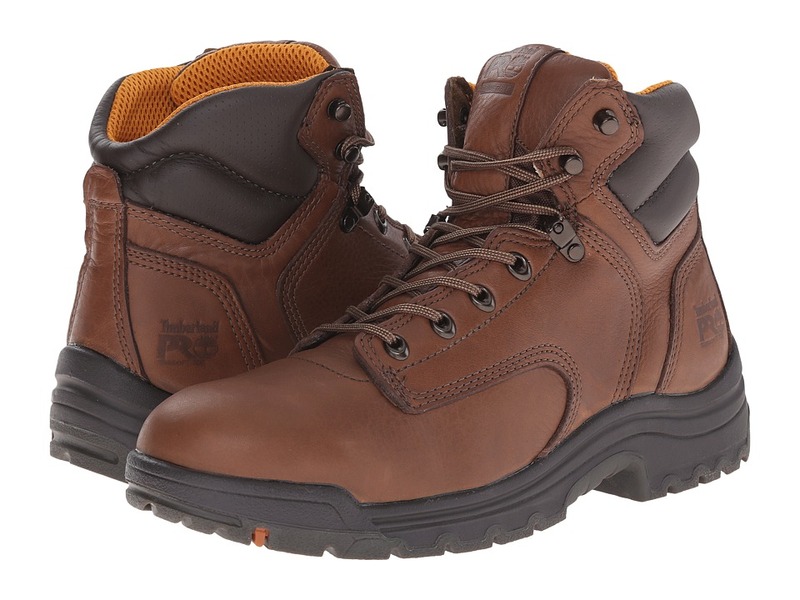 The Timberland PRO TiTAN&amp#174 Waterproof 6 Alloy Safety Toe work boot is the reliable choice for wet-weather protection, work-area protection, and underfoot comfort. Style number: 26078242. Premium waterproof leather upper. Alloy safety toe is shaped on TiTAN&amp#174 last for lightweight protection and a superior fit. Cement construction for flexibility and reduced break-in time. Moisture-channeling spacer mesh comfort lining with antimicrobial treatment for odor control and dry feet. Contoured open-cell polyurethane footbed with Outlast&amp#174 Adaptive Comfort&amp#174 temperature-regulating technology sock cover keeps your feet drier. Polyurethane midsole with high-rebound heel insert provides durable cushioning and energy return. Nylon diffusion shank for torsional rigidity. Rubber dual-density outsole is lightweight with slip, oil and abrasion resistance. Lightweight, asymmetrical-shaped alloy safety toe meets I/75 and C/75 impact and compression ASTM F2412-11 and ASTM F2413-11 safety standards. Meets ASTM F2412-11, ASTM F2413-11 and ASTM F2892-11 electrical hazard standards to provide secondary underfoot protection against the hazards of stepping on live electrical circuits, electrically energized conductors, parts, or apparatus. Imported. Measurements: Heel Height: 1 1 2 in Weight: 1 lb 7 oz Shaft: 5 1 2 in Platform Height: 1 in Product measurements were taken using size 8, width D - Medium. Please note that measurements may vary by size. Weight of footwear is based on single item, not the pair. Stay comfortable and steady on your feet when you wear the Timberland PRO Direct Attach Waterproof 8 Soft Toe work boots. Style number: 26011713 Premium waterproof full grain leather with direct attach construction. 400g Thermolite&amp#174 insulation for reliable warmth and cold protection. Breathable mesh lining. Padded collar for added comfort. Open-cell PU footbed with antimicrobial treatment for breathable comfort and odor control. Lightweight blown-thermal plastic midsole for flexibility and underfoot support. Soft toe meets ASTM F2412-11, ASTM F2413-11 and ASTM F2892-11 electrical hazard safety standards. 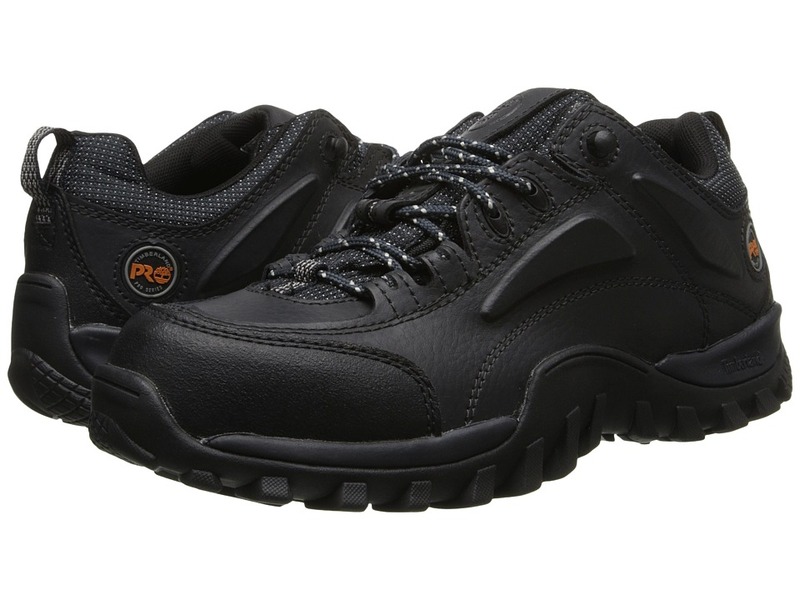 Non-marking, oil-resistant rubber outsole with pronounced lug pattern for excellent traction. Contoured nylon shock-diffusion plate for added support. Imported. Measurements: Heel Height: 1 3 4 in Weight: 1 lb 14 oz Shaft: 7 3 4 in Platform Height: 1 1 4 in Product measurements were taken using size 8, width D - Medium. Please note that measurements may vary by size. Weight of footwear is based on single item, not the pair. The Timberland PRO Direct Attach 6 Soft Toe offers superior waterproof protection and rugged, long-lasting performance to keep you safe under demanding conditions. Style number 65030713. Premium waterproof leather with seam-sealed direct-inject construction to keep out the wet elements. 200g of lightweight, high-lofted, quick-drying, moisture-resistant Thinsulate insulation keeps feet warm in any weather. 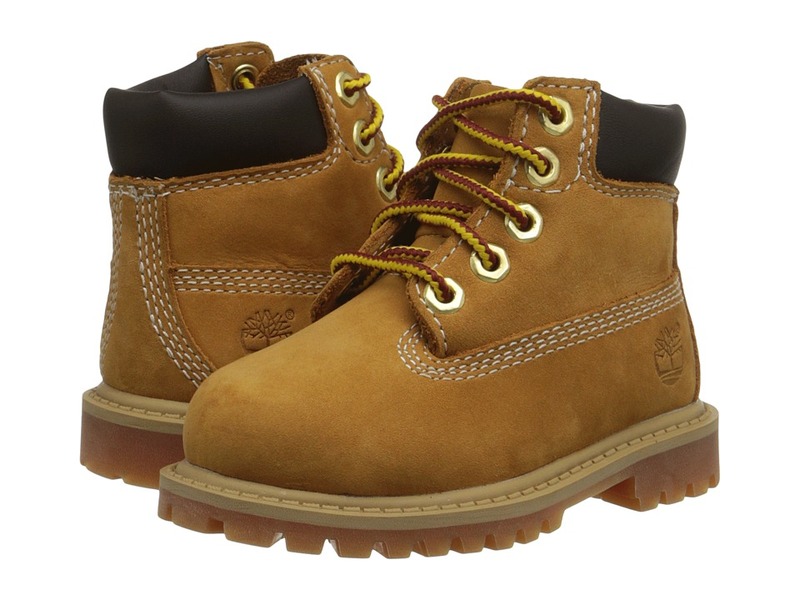 Traditional lace-up system with sturdy metal eyelets for a secure fit. Padded collar provides comfort and prevents debris from entering. Mesh lining with antimicrobial treatment for odor control. Open-cell polyurethane footbed with antimicrobial treatment for breathable comfort and odor control. Lightweight blown-thermal plastic midsole for flexibility. Contoured nylon shock-diffusion plate for support. Non-marking rubber lug outsole is oil resistant and provides durable traction. Soft toe meets ASTM F2412-11, ASTM F2413-11 and ASTM F2892-11 electrical hazard standards to provide secondary underfoot protection against the hazards of stepping on live electrical circuits, electrically energized conductors, parts, or apparatus. Imported. Measurements: Weight: 1 lb 9 oz Shaft: 7 1 2 in Product measurements were taken using size 7.5, width D - Medium. Please note that measurements may vary by size. Weight of footwear is based on single item, not the pair. 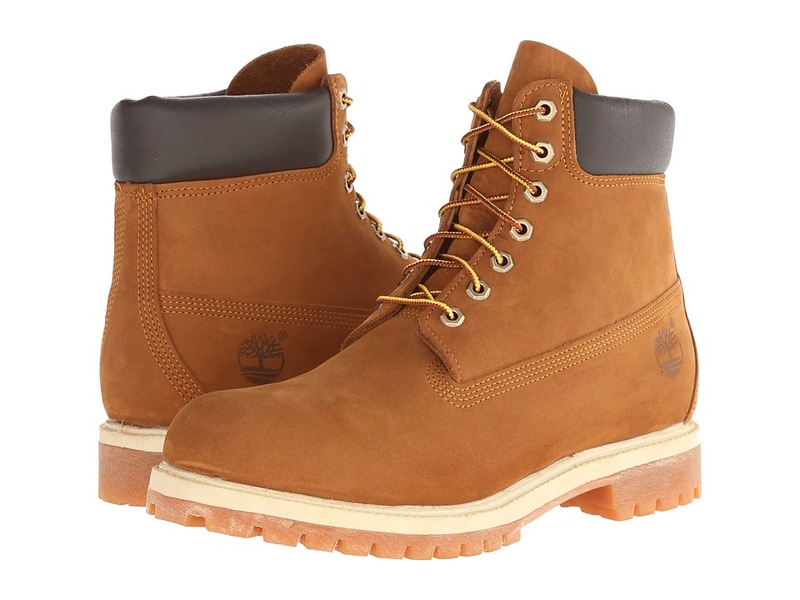 These insulated, waterproof Timberland PRO leather boots are made using direct-attach construction for a watertight seal that~s guaranteed to keep feet dry and comfortable. Style number 26038001. Premium waterproof leather with seam-sealed direct-inject construction to keep out the wet elements. 200g of lightweight, high-lofted, quick-drying, moisture-resistant Thermolite insulation keeps feet warm in any weather. Traditional lace-up system with sturdy metal eyelets for a secure fit. Padded collar provides comfort and prevents debris from entering. Mesh lining with antimicrobial treatment for odor control. Open-cell polyurethane footbed with antimicrobial treatment for breathable comfort and odor control. Lightweight blown-thermal plastic midsole for flexibility. Contoured nylon shock-diffusion plate for support. Non-marking rubber lug outsole is oil resistant and provides durable traction. Steel toe meets I/75 and C/75 impact and compression meet and ASTM F2412-11, ASTM F2413-11, and ASTM F2892-11 electrical hazard safety standards. Imported. Measurements: Weight: 2 lbs 2 oz Shaft: 7 in Product measurements were taken using size 10, width D - Medium. Please note that measurements may vary by size. Weight of footwear is based on single item, not the pair.